We offer a vast range of quality chemicals and reagents. Whether you are analysing environmental samples, conducting routine testing or using analytical instruments, our extensive range will allow you to select the right chemical for your application. Thermo Fisher Scientific has a wide selection of inorganic salts that can be utilised in a number of diverse applications. These are offered in various purity grades to meet both your research and manufacturing process needs. Inorganic salts come in a variety of forms, including powder, crystals, granules, pellets and lumps. 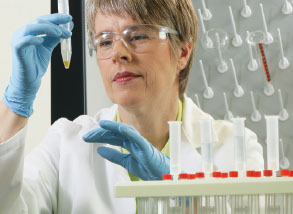 Our Fisher Chemical™ Aqualine™ Karl Fischer reagents portfolio is designed to meet the needs of the analytical chemist by providing accurate water content determination using volumetric or coulometric titration with unique benefits.